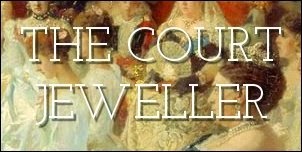 We've talked at length here on the blog about the magnificent gems owned and worn by the Bernadotte family in Sweden. But they have a few petite royal tiaras in their jewelry boxes, too, including today's tiara, which belonged to Queen Louise. The tiara, which is made of diamonds, seems to have been worn first by Louise. She was born Princess Louise of Battenberg — she was a great-granddaughter of Queen Victoria — but she became Lady Louise Mountbatten when her family renounced their German titles in 1917. Even without their royal titles, the Mountbattens were extremely well-connected. Louise’s siblings included Lord Louis Mountbatten and Princess Andrew of Greece and Denmark (which means that Prince Philip was her nephew). When she was a young woman, Louise was engaged several times, including once to Prince Christopher of Greece (who ended up marrying the heiress Nancy Leeds). Louise once famously announced that she would never marry a widower or a king, but in 1923, she did both. At St. James’s Palace, she married Crown Prince Gustaf Adolf of Sweden, the widower of her cousin, Princess Margaret of Connaught. When her husband ascended to the throne as Gustaf VI Adolf, Louise became a queen. Specific provenance information on this one has proven tough to come by, but I’d wager that it was made around the time that Louise was married, judging by the Art Deco-esque style of the tiara. Louise is generally said to have been the first owner of the piece, and she wore it both atop her head and across her forehead in '20s bandeau style. Queen Louise died in 1965, the year after Princess Désirée married Baron Nils-August Silfverschiöld. It’s said that the tiara was a wedding gift to Désirée from her grandfather and step-grandmother. Désirée has worn the tiara at major royal occasions, including the wedding of her cousin, Princess Benedikte of Denmark, in 1968, and the wedding of her sister, Princess Christina, in 1974. She has also occasionally worn the tiara at other white-tie events in Sweden.